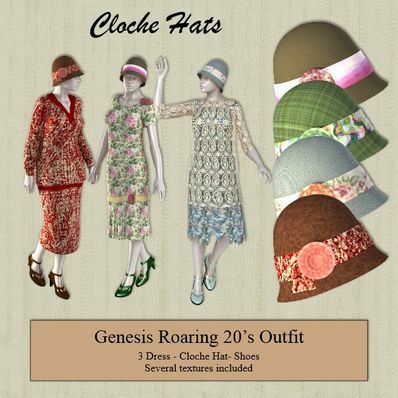 Roaring 20s style Cloche hat for Genesis for use in Daz Studio 4.6. I love those clothes. Thank you so much.